Justice Snow's had a modest bar crowd at about 1 p.m. Tuesday, the same day it learned that the city will seek another tenant for the Wheeler Opera House space. The city announced the four finalists Tuesday for the restaurant space at the Wheeler Opera House, and existing tenant Justice Snow’s is not one of them. An evaluation committee instead opted for a new direction for the city-owned space, selecting four operators of restaurants in the Roaring Fork Valley. In a news release prepared by a Texas-based public relations firm, the Aspen government identified the finalists as Hayden’s LLC, a four-person group comprised of Bill Dohery, Scott Gibsone, Travis Redd and Brent Reed, who is co-owner of the Kenichi sushi restaurant in Aspen; Mr. Grey LLC, led by Ryan Chadwick of the Grey Lady restaurant in Aspen; Elk Mountain Ventures LLC, a group that also runs Capitol Creek Brewery at the Willits retail center in Basalt; and Highlands Restaurant Group, which operates the Highlands Alehouse at the base of the like-named ski area. The committee arrived at its decision after reviewing the applicants’ written proposals. They did not meet the applicants in person during the initial round. “The next round will include interviews with those that have risen to the top,” said Assistant City Manager Sara Ott, who sits on the committee with Wheeler Executive Director Gena Buhler, city facilities and property manager Jeff Pendarvis, Wheeler board member Richard Stettner, and Tom Engelman, who runs the à la Car of Aspen restaurant delivery service. 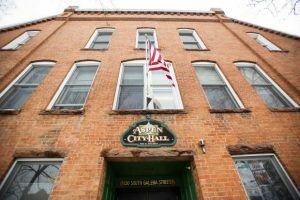 The committee is aiming to make a recommendation to the City Council, which has the final say on the future tenant, on Feb. 26. Eleven restaurant groups initially applied for the 2,618 square feet of restaurant space through a request-for-proposal process, which opened Dec. 1, including Fiercely Local LLC, the corporate entity behind Justice Snow’s, which has operated from the spot since 2011 following a similar proceeding with the city. Michele Kiley, one of the owners of Justice Snow’s who also has served as its spokeswoman, appeared to take the news in stride. The city had previously expressed frustration with Justice Snow’s because it fell behind on rent and had an extended closure during the autumn offseason, while lackluster service stained its reputation. “It’s been a great pleasure to serve the community, and we’re ready to support whatever the use of the space the city wants next,” Kiley said. The Justice Snow’s lease expires April 15. 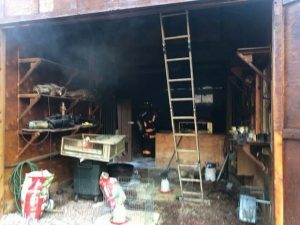 Kiley said the restaurant, which has a full-time staff of about 35, will remain open until then. The city has said the new restaurant must offer lunch and dinner for artists working at the Wheeler, provide catering services for receptions and special events at the opera house, and offer “grab and go” packaged meals for large festivals at the Wheeler. Some members of City Council, which will make the final decision on the future leaseholder, also have said they expect the new restaurant to be open seven days a week for most of the year and serve as a community-style location with affordable prices. Justice Snow’s so-called affordable meal has been a hamburger and a side for $12; it was originally priced at $10. Locally accessible and affordable prices, however, have become a matter of debate because they are open-ended, subjective terms. According to draft of the lease agreement for the new tenant, which is incomplete, the initial term would be a five-year period with an option for an additional five years. 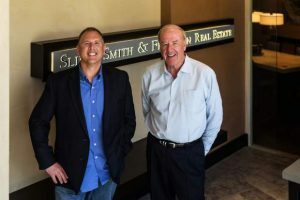 The contract does not specify rent amount but notes that the tenant would be required to provide the city, on an annual basis, its amount of gross sales for the year, as well as quarterly sales statements. The tenant also would be required to provide quarterly performance updates to the landlord and Wheeler staff. Additionally, the restaurant would put down a security deposit of $20,000 and would pay base rent and a percentage of gross sales to the city. Reed, of Hayden’s, said the new restaurant would be nothing like Kenichi. The restaurant’s namesake would come from the 13,561-foot Hayden Peak located in the Elk Mountains, once eyed for a ski area in the 1930s. 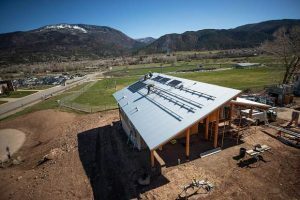 “We want to connect the town to Aspen’s ski pioneering history,” Reed said. Hayden’s would focus on what Reed called “ranch to grill,” a play off the “farm-to-table” phrase, serving local meats and wild game in a modern ski-lodge-type setting, Reed and his partners said. 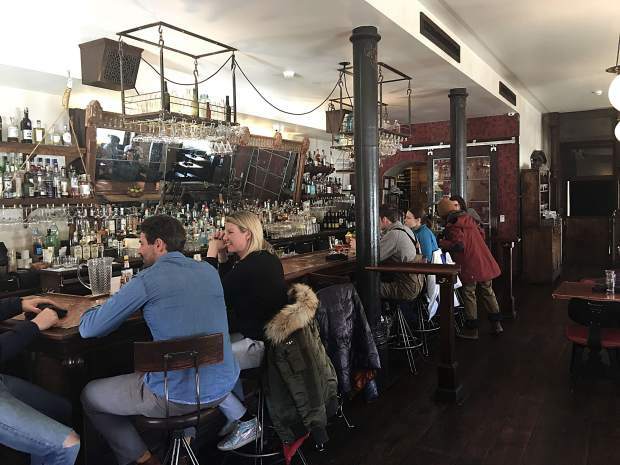 “What our mission is, is to really create a restaurant that’s great for the community that connects us to the ski pioneers and allows us to celebrate the winter sports,” one of the partners said.